(ZIZ News) — St. Kitts and Nevis has secured thirteen million dollars in projects from The Republic Of China Taiwan covering various fields. 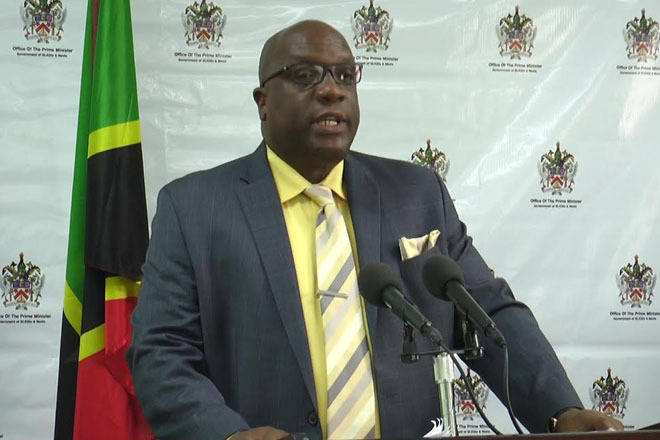 That’s the word from Prime Minister Dr The Hon Timothy Harris as he addressed the media at his monthly press conference on Monday morning. He specifically referred to assistance for the security forces. “Law and order will benefit from Taiwan’s assistance with our CCTV project. We expect experts from Taiwan to be here to fine tune the ambit of technical support and other resources for this particular project. Secondly, financial support has been committed for the purchase of vehicles for law enforcement agencies including the police and the Defence Force,” he said. The Prime Minister also outlined Taiwan’s role in establishing a National Heroes Park. “The third area of support is that the proposed National Heroes Par constructed on lands near the Kim Collins Highway will be financed by the government of Taiwan. Preparatory work will commence on or before July 2016. And the estimated cost of that has been pegged at 2 million dollars,” he said. He said these projects are estimated to cost over 13 million dollars and there are other projects that were raised which will be discussed further between the two countries.